The rocket’s first stage ignited at 2:37 p.m. (PDT), and just over 12 minutes later, Planet’s six SkySat spacecraft began to deploy one at a time into their targeted sun synchronous orbit 310 miles (500 kilometers) above the Earth. Following deployment of the main satellites, Planet’s four secondary Dove spacecraft deployed. From this orbit, the Dove and SkySat network of remote sensing satellites will deliver a global information feed to businesses, governments and non-governmental organizations (NGOs) around the world. 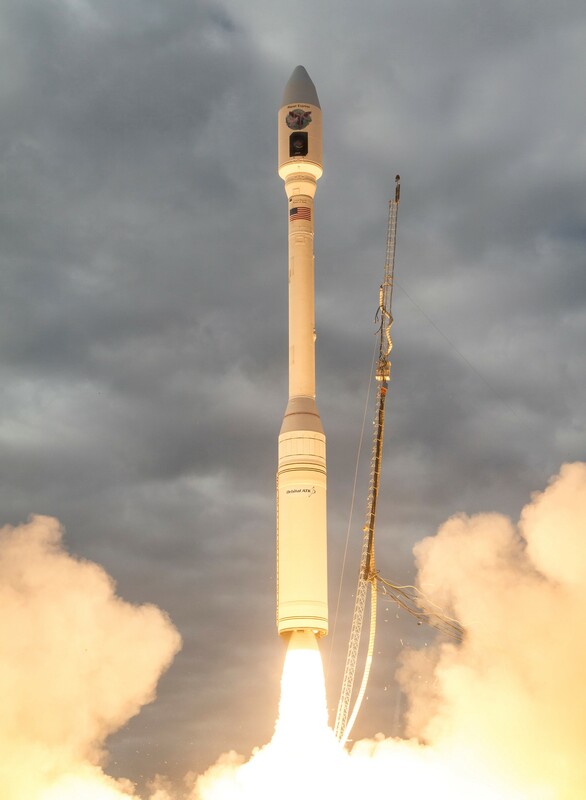 The Minotaur C rocket is an all-commercial vehicle capable of launching payloads up to 3,500 lbs. The configuration that launched today included four solid rocket commercial motors: CASTOR 120®, Orion 50S XL, Orion 50 XL and Orion 38. Orbital ATK manufactured all four motors at facilities in Clearfield, Magna and Promontory, Utah. The company manufactured the avionics, software and separation systems at facilities in Chandler, Arizona. Integration of the Minotaur C rocket took place at Vandenberg Air Force Base. Planet’s Dove and SkySat satellites, which are manufactured in California, are some of the most capable spacecraft per kilogram ever produced. A record-breaking 275 Dove satellites have been successfully deployed and operated in space and today collect more imagery per day than any other fleet of commercial satellites. The constellation of 13 SkySats is the world’s largest commercial, sub-meter fleet of high-res satellites operating in space.